JP Schlegelmilch grew up in New Hampshire and studied music at Berklee College of Music and SUNY Purchase. JP has studied jazz and improvisation with Fred Hersch, Ralph Alessi,and Marc Helias. He currently studies classical piano with Sophia Rosoff and harmony and counterpoint with Paul Caputo. Since moving to Brooklyn he has been active as a pianist, accordionist and composer in the jazz and improvised music worlds. Current projects include the experimental instrumental rock group NOOK, and jazz/improv/original music groups such as 2 of Anything (electro/ acoustic quintet), A Proper Unicorn (quartet with saxophonist Adam Schneit), The JP Schlegelmilch Trio (acoustic piano trio), Put a Motor in Yourself (electric power trio), and the Martin Urbach Group (drummer Martin Urbach's original music). JP also frequently plays with rock groups and the improvisational theatre group FACE. In each of these projects and in the process of composition, JP seeks to synthesize his diverse musical interests, creating a personal and non-genre-specific music. He strives to continually enrich his musical language through studying various musical traditions including jazz, experimental improvisation, classical, and folk music from around the world. 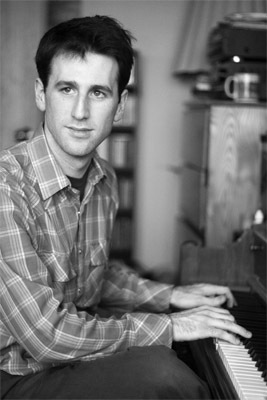 Also a devoted teacher, JP teaches piano students of all ages at the Rye Arts Center in Westchester, and private lessons at his studio in Brooklyn.